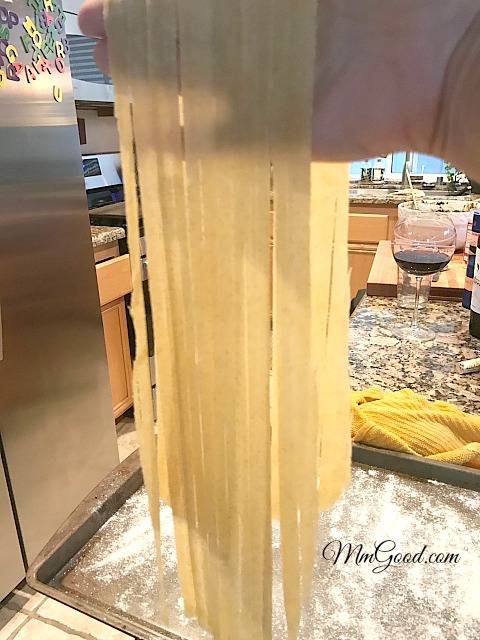 Home » Dinner Entree » Homemade Pasta…yes from Scratch! 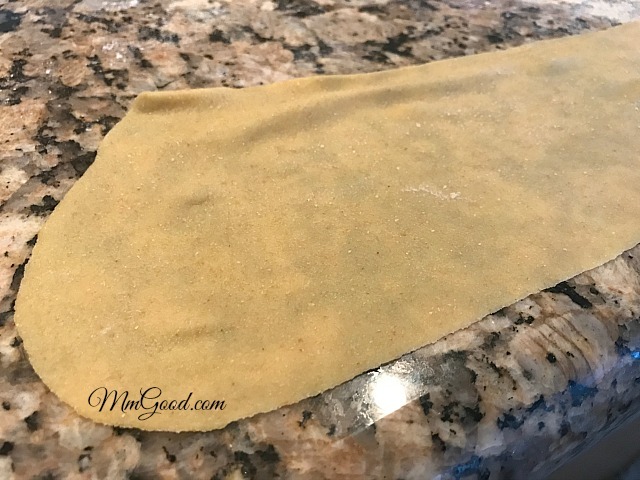 I knew making homemade pasta would be that “wow” when my guests would come over for dinner. So when my friend Janine asked me to come over to make homemade pesto with no nuts, I offered to make homemade pasta. 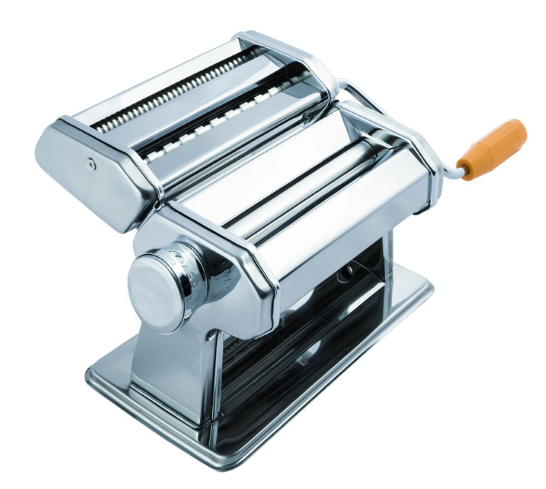 I grew up with my mother making homemade pasta all the time, I had the original hand cranker machine, similar to this one, I’ve never used this one but at under $30 I thought if you were going to invest in a machine, why not this one? You can click on the photo to be taken to Amazon to explore this and other options. 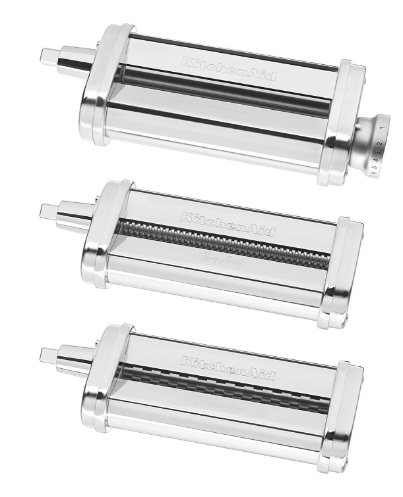 My model has an attachment that I used, while it is an investment, it does shorten the time in making homemade pasta. Once all the pasta is cut, you bring your water to a boil, place the homemade pasta in the water, stir. The pasta cooks very quick, 3-4 minutes, remove from water and serve with your favorite sauce. 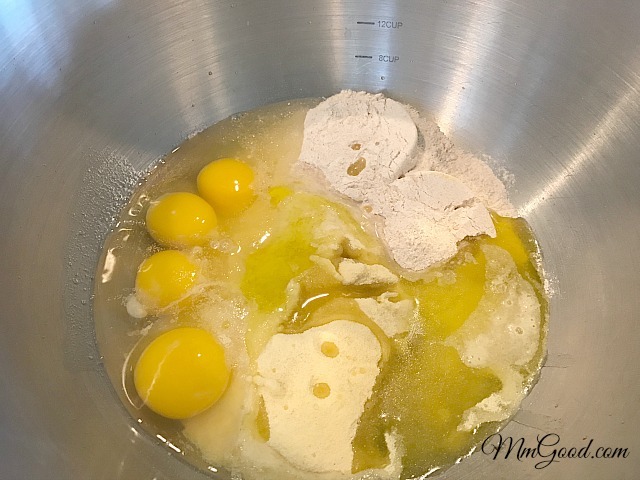 In a large mixing bowl add all ingredients and mix until combined. 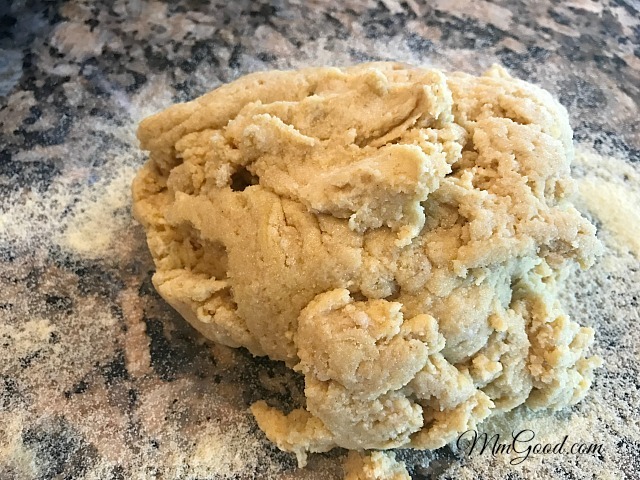 Place dough on a floured surface and knead for 4-5 minutes (until smooth). 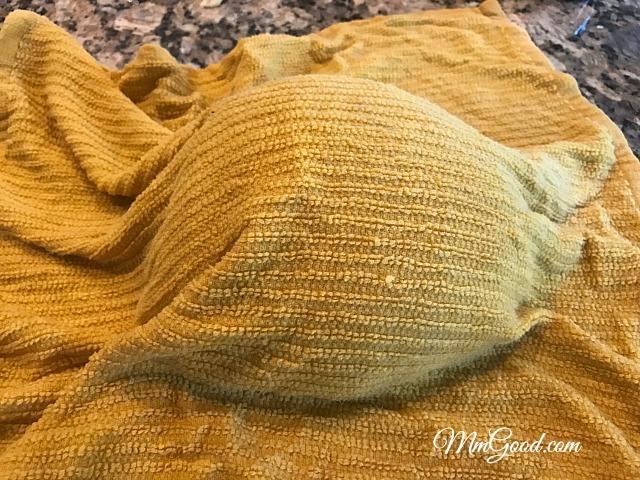 Cover dough with a moist towel. 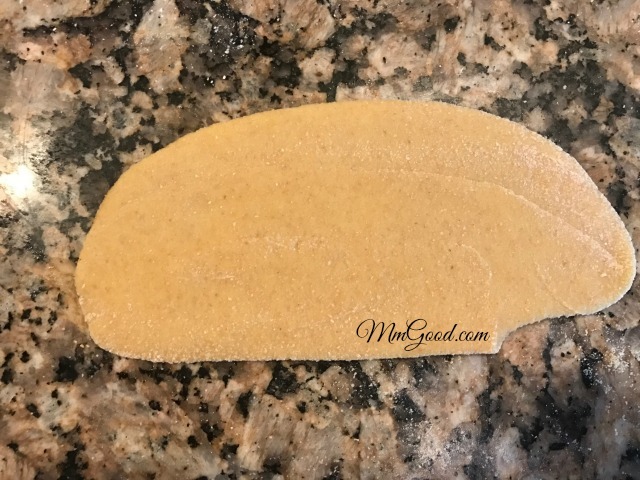 Taking a small portion of dough, run dough through a pasta machine, using the largest opening, do this 3 times on the largest setting. Bring the setting down 2 notches and run the dough through, continue doing this until the dough is as thin as you can get it without it tearing. 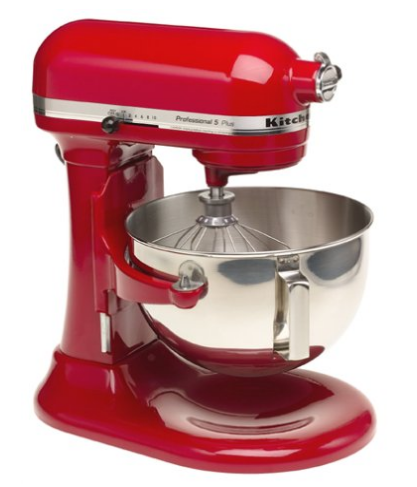 Place the rolled out dough on a flour tablecloth to dry out, continue rolling out all your dough. 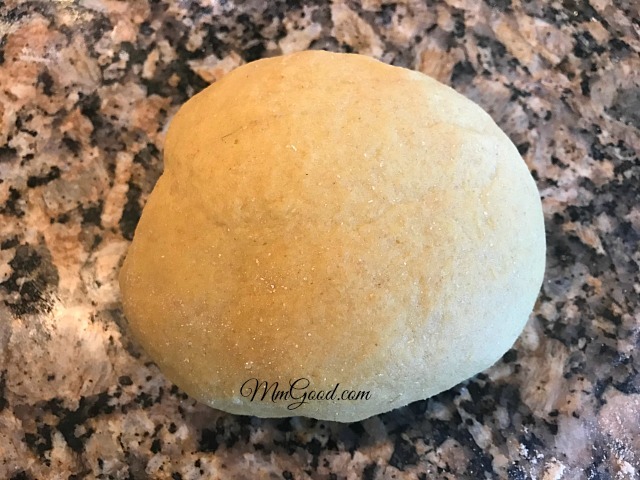 Starting with the first rolled dough, run this dough through your favorite past setting, only once (I tend to use the widest noodle as the pasta cooks very fast and it's easier for me to use). To cook your pasta, bring water to a boil, place pasta in bowl and cook for 2-3 minutes. Serve with your favorite sauce! Enjoy!! !